Join us for the opening reception on Friday, October 11, from 6-9pm. Visit with our artists, hear about their journey with the creation of this exhibit, enjoy refreshments and live music by violinist, Shirley Lebo. The exhibit continues through November 17th. “Take Four: New Art by Joanne Geisel, Ann Hair, Barbara Bear Jamison, and Gale Smith” is a new exhibit where each artist will paint her personal interpretations of iconic Wilmington scenes, including scenes from the Lower Cape Fear Hospice Garden. 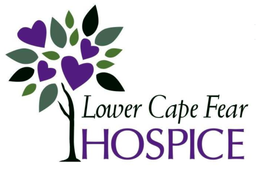 A portion of art sales and a raffle of an original artwork will benefit the Lower Cape Fear Hospice. Joanne Geisel‘s love of drawing and painting began as a child. Her goals in creating oil paintings include capturing the feelings, sights and sounds of her subjects. She continues to experiment with texture, edges, brushstrokes, and palette knife and the layering of color to create depth, luminosity and beauty. Ann Hair is an award winning artist who draws her inspiration and palette from nature but enjoys tweaking the colors a bit and turning them up a notch. She loves working en plein aire and from life. Currently living on the coast of North Carolina, she finds inspiration everywhere. Barbara Bear Jamison is a 4th generation Wilmington native, focusing on the beauty of her hometown in her art. She studied art at UNC-Chapel Hill. Gale Smithstudied at UNC Chapel Hill, and considers painting as an ongoing study. Gale is an award winning artist with her works exhibited in galleries, private collections and corporate installations. The Lower Cape Fear Hospice will receive a portion of art sales from each artist plus a match from Art in Bloom Gallery. In addition, the four artists are creating a painting together to be raffled during the art exhibit. All proceeds from the raffle will go to the Lower Cape Fear Hospice. Stay tuned for the live painting date to see the artists creating the painting for the raffle prize. This entry was posted on Friday, October 11th, 2019 at 6:00 pm	and is filed under Special Event. You can follow any responses to this entry through the RSS 2.0 feed. Both comments and pings are currently closed.